Large enough to satisfy all of your professional security service needs, yet small enough to give you the personalized service you deserve. Willo Security: A Security Guard and Investigator Company offering Guard Services and more in Akron, Canton, Cleveland and all of Ohio! Canton, Cincinnati, Cleveland, Columbus, and All of Ohio. Willo Security Company is proud to be the trusted choice of individuals and businesses throughout Columbus, Cleveland, Cincinnati, Akron and Canton, Ohio. With over 25 years as a recognized industry leader, Willo Security is large enough to satisfy all of your professional security service needs, yet small enough to give you the personalized service you deserve. 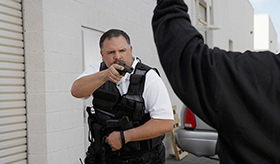 While we are well known for providing thoroughly-trained, uniformed security officers servicing corporate, commercial, institutional and industrial clients — that is only one of the many security services we offer. From armed and unarmed security guards to private investigation services, we deliver a full range of capabilities, designed to provide you with protection and peace of mind. Are you planning a special event? 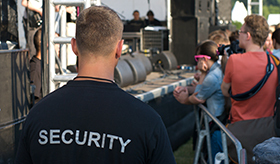 As Ohio’s special event security experts, Willo Security can help create an environment that is safe and fun for all participants. We accomplish this by developing effective security strategies, carefully positioning patrol guards, and identifying & correcting potential security challenges. We welcome the opportunity to discuss your special event security needs and how we may be of service. 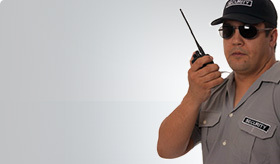 In addition to our exceptional security solutions, Willo Security also offers the finest in private investigations. Our private investigators are experienced with all types of investigations, and they utilize the latest tools and techniques while ensuring the utmost discretion. Click to read: Brite Winter thanks Willo for our support. "5 stars, two thumbs up, thanks so much for a great (and safe!) weekend!!" "Thank you for being part of Heroes Unite! ...Looking forward to working together soon!" "From all of us on the Brite team, thanks so much for helping make #Brite18 the best Brite yet! Your hard work helped tremendously in the execution of this year's event as we worked to create the most vibrant Brite yet." Front desk security guard is welcoming, inviting, and helpful. The security guard who greets customers and the BMV/Title staff have all been very friendly patient and helpful. "(Security Officer) Mac seems to naturally go above and beyond almost every day... But most noteworthy is the courtesy and concern he displays for so many staff who have disabilities here." "We felt safe because of his presence but it was more than that. He smiled each morning and welcomed customers and staff when they arrived. He fit right in with our company culture and we appreciated his time with us." "I wanted to reach out to you to let you know that guards that were here last weekend did a great job." "I would like to take this time to recognize Mike Goshay and Keenon. Within the past year, I have witnessed their professionalism and kindness not only to employees but more importantly, to patients and family members." "(Security Officer McLaurin's) actions and professionalism were appreciated by the Greater Columbus Convention Center and all the attendees within our walls." "I have seen a number of security guards over the years and I would put Jerry Adams in the top 1%. 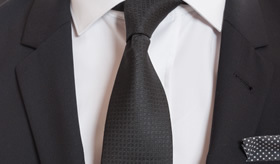 He is as professional as they come." "Mr. Dugan, Clint does so well with customers and greets them with the utmost respect every single day! So with that we’d like to pass this along to you as well. Thank you so much!" "Service was fantastic. Your staff did a great job." "I want to give some recognition to your weekend security personnel (Janelle). She has always been vigilant in her hourly drive around checks and reports to us anything that she sees of concern." "We would like to leave a compliment for the Security Officer who was guarding at the Greater Columbus Convention Center. These Security Officers made the parents feel safe and calm with so many international visitors." "The Cleveland Metropolitan School District has contracted security services with Willo Security, Inc. for over a year. 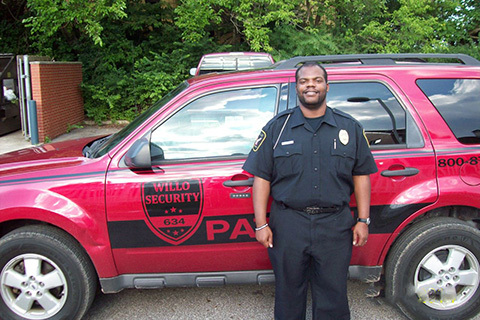 Willo Security has always displayed a high degree of integrity, responsibility, and professionalism." "I have been using the security services ofWillo Security, Inc. for over ten years and have found them extremely professional, dependable and trustworthy. " "This letter is to endorse and highly recommend the services of Willo Security. The firm has provided highly qualified and dependable Security manpower at the Cleveland National Air Show for more than fifteen years." "Because of your support, we were able to create a safe, inviting, engaging and seamless experience for our visitors."